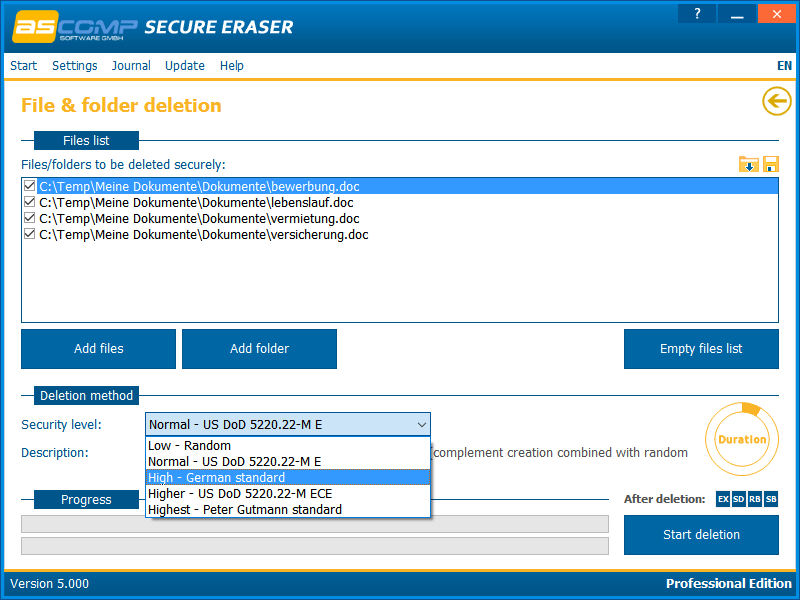 Secure Eraser Pro 5.101 - Erase Your Documents and Drives Securely! Because it’s been erased from your hard drive, doesn’t mean it’s gone forever. As long as the information was not overwritten, anyone can restore it at any time. It gets even more complicated, if a computer has been resold or given away. 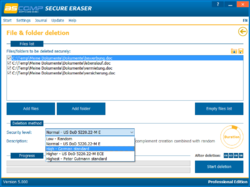 Secure Eraser uses the most renowned method of data disposal and overwrites sensitive information in such a sure way that it can never be retrieved – even with specialized software. The program is available for $20.00, but the winners of our contest will get it for free. 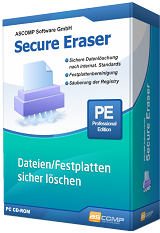 With all of the security and personal identity issues that we face in our everyday and business lives, this is a must have product for everyone to have in their software arsenal of protection for sure. I for one, appreciate the opportunity to enter a contest allowing me a chance to get the software absolutely FREE. But even if I do not win, the retail price is a VERY economical price of only $20.00. Less than a cheap weekend night out!